Amsterdam, October 20, 2018 – A video showing a group of men heavily mutilating and finning a live shark was posted on Facebook today. 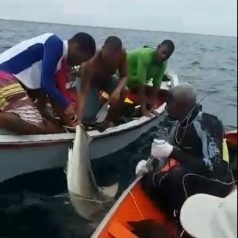 The recording was allegedly made in the waters of Curacao, and shows a group of 5 men, who have apparently caught a shark on a fishing line, repeatedly stabbing it in the head and slicing of the tail while the animal is still alive. Shark finning, the practice of slicing off a shark’s fins and discarding the body at sea, is a cruel and wasteful practice that has been banned in most of the world’s fisheries. Curacao has signed on to international legislation banning finning in its waters several years ago through ICCAT1 fisheries laws. 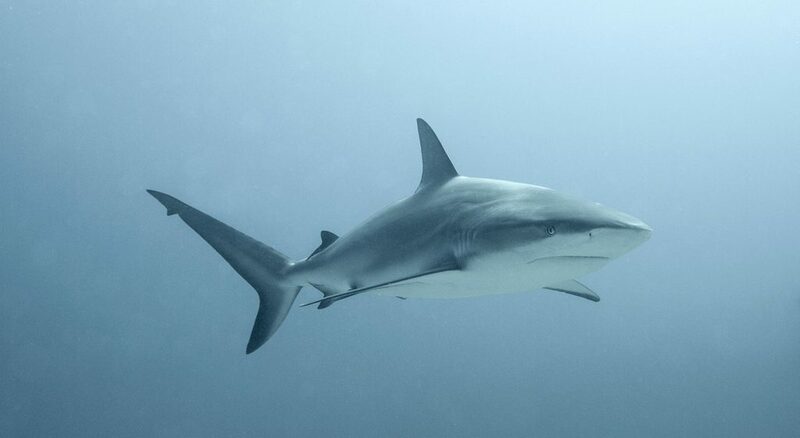 Furthermore, during a Caribbean shark conservation meeting on Sint Maarten in 2016 the government of Curacao vowed to pass legislation to create a shark sanctuary in their waters, and protect sharks from human exploitation. However, to date, no such measures have been taken. As large predators, sharks are key contributors to healthy marine ecosystems, adding to their biodiversity and durable functioning. The presence of diverse and abundant shark populations indicates the marine system is in a good ecological state. And moreover, the presence of large characteristic species forms a valuable commercial asset for Caribbean communities as an attraction for dive tourists. Shocking images and videos of shark fishing and finning on Curacao have been circulating on social media over the last couple of years, repeatedly causing a public outcry.